Syncfrog provides Intelligent Data-Loading into CRM that allows its users to control how, where and when information is placed. Unlike the competition, Syncfrog focuses on, and provides deep integration with, CRM solutions. Syncforg enables CRM users to create multiple objects, apply business rules and automate tasks. "Very Handy Way to Transport Your Data"
SyncFrog is highly flexible and configurable. Once you wrap your head around the concept of a "data leap", you can see the power of being able to move data from one system to another without building custom integrations. My primary use case has been moving data from Google Sheets into Marketo, but there are many other possibilities. SyncFrog even has some basic data transformation tools built in, so you can modify your data before loading it in various ways, set a static value for fields, load data conditionally, and so on. It's been a real time saver and is an excellent tool to have in the toolkit. The UI needs work to be easier to use. Once you have a lot of data leaps going, it can be very difficult to find and manage them all. Also if there is ever an error, you need to manually go through and clear every message which is quite time consuming. Certain functionality requires you to click through multiple screens whereas it could be quite simpler. Overall it just feels like a powerful product with a functional UI, but more work is needed to make it as delightful to manage as it is in terms of the results it delivers. Another big wish list item is pro-active alerts if something fails. Currently if a transfer fails you need to find it inside the UI, which can be difficult per the above. There should be some email alert to notify you immediately. I wish it had the ability to add multiple users with different levels of permissions as well. These are possibly roadmap items so not really a knock against the product, more just a wish list to make it better! If you need a way to port data between systems, it's a no brainer. It does what it says it will do. The use case I initially turned to SyncFrog for was loading leads from content syndication vendors into Marketo. By using SyncFrog we could have an agency load the leads to a Google sheet and then port into Marketo, avoiding the need for someone inhouse to process the list and do the upload. This saved many hours of time over the length of a longer campaign with many vendors. Developers are very receptive to feedback. Response time is quite impressive. Product is very intuitive and we have been able to deploy leaps with ease. Data quality, accuracy and frequency has improved overall. Business is very pleased with performance. Dashboard, exception routing, alerting could all be improved. ETL without coding. 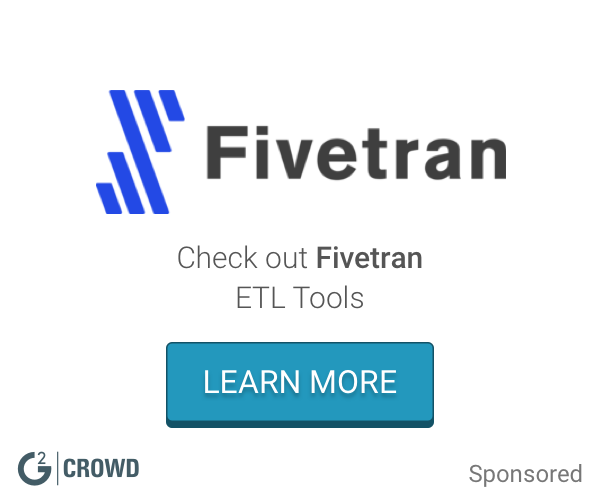 Admins can perform ETLs without IT or Informatica. * We monitor all Syncfrog reviews to prevent fraudulent reviews and keep review quality high. We do not post reviews by company employees or direct competitors. Validated reviews require the user to submit a screenshot of the product containing their user ID, in order to verify a user is an actual user of the product. Hi there! 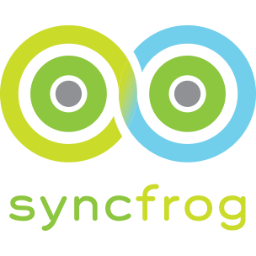 Are you looking to implement a solution like Syncfrog?